My BFF, Candace Derickx, has this fabulous little blog so geniously named ‘Life in Pleasantville’, and it is a true testament to how she (and likely most of us) would like to live our days. When Candace asked me to contribute to her blog with a list of the Top 10 Christmas Gifts for the Home, I jumped at the opportunity. I love to decorate. And decorate. And then decorate some more. Christmas is my favourite time of the year, and gives me so many more reasons to pull out all my kitschy Christmas reindeer, velvet pillows and sequined ornaments. Our house is simply overflowing with Christmas, and while I may love it, and I am pretty sure my two little girls love it….my husband will all too quickly be longing for the days of the needle-shedding-tree to be bagged and at the curb, and life (or at least the house) will be back to normal. Though, normal in our home involves a rotating inventory of throw pillows, gorgeous and comfy bedding, luxurious towels & glorious & colourful artwork. Nothing stays the same for more than 3 months, – I simply can’t help myself. And why should I when there is just soooooo many wonderfully beautiful and interesting home goodies all ready for my credit card. Or better yet, – someone else’s credit card. 1. 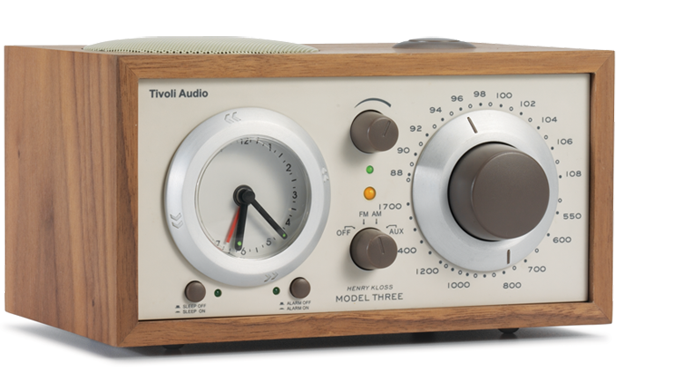 Tivoli Radio – I love the mix of mod and retro this little guy brings. The fab little clock radio brings clarity to even the weakest stations with sound design that astonishes the audio experts, and the beauty and balance that make it “not just the best looking clock radio made…its one of the most beautifully crafted home audio products ever”. (LA TIMES) I would LOVE this is my bedroom, but it would also be absolutely fabulous in the living room with the newspaper and a good cup of Joe. 2. 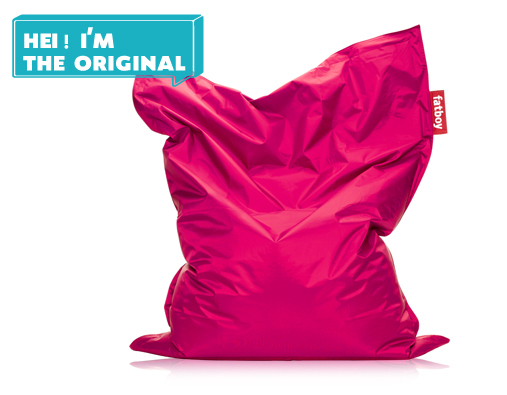 Fatboy Bean Bag – This is the ulitmate in bean bag chairs. It’s size brings some humour, and I am all about a laugh, but I would bet this would be the most comfortable seat in the house. Once the basement reno is complete, I will be bringing a few of these home in a host of the amazing jelly-bean colours available. 3. Tory Burch Throw Blanket – ah yes, a little glam is always good and Tory Burch delivers with this classic and elegant throw in black and white. Black and white go with EVERYTHING. You can’t go wrong with this, …definitely any gal would love to have this under the tree. 4. SMEG Refrigerator – Le sigh ~ it’s nice to dream a little dream. While many may covet the top of the line Sub-Zero, not this girl. Give me a SMEG in any one of their fabulous colours,…the green is fantastic, but pink or blue will also do nicely. See, I’m easy to please. 5. 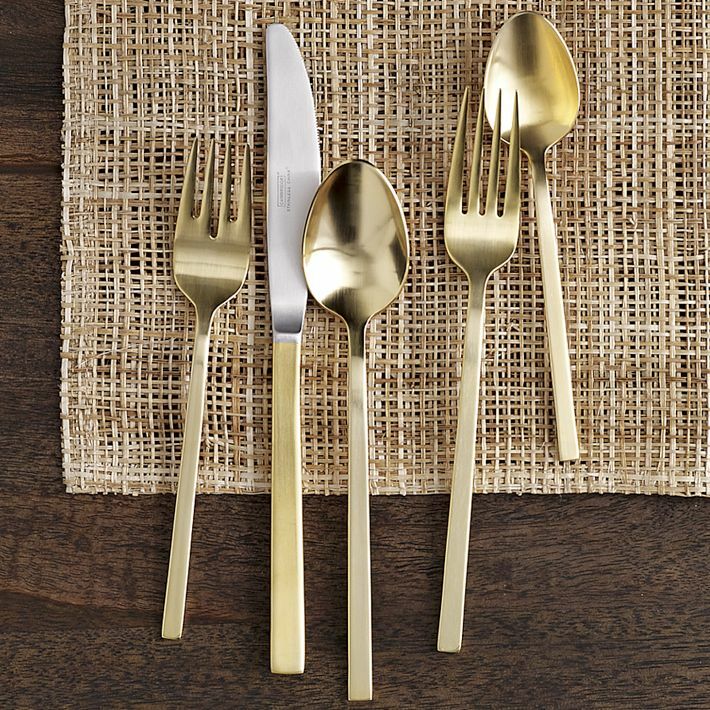 Gold Cutlery – Top of my list this year is gold. I am LOVING gold. Gold with anything and everything. I still love my silver, but mixing metals is all the trend this year, – and there is no easier way to do it then to add some beautiful gold cutlery to your holiday table. These little gems from West Elm knock my socks off. Please honey, please! 6. 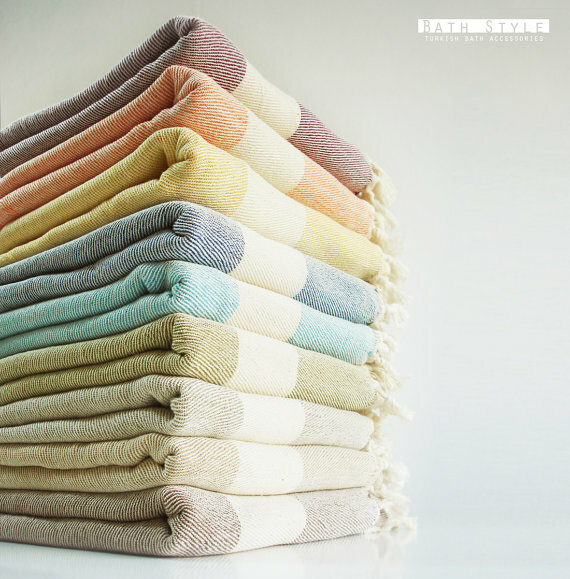 Turkish Bath Towels – These are the bomb. For real. You have absolutely no idea just how luxurious and glorious one of these babies feel wrapped around you after a good long hot soak in the tub. AMAZING. And this little shop ‘BathStyle’ on Etsy, one of my fave haunts for unique gift ideas, has a pretty fantastic assortment. 7. 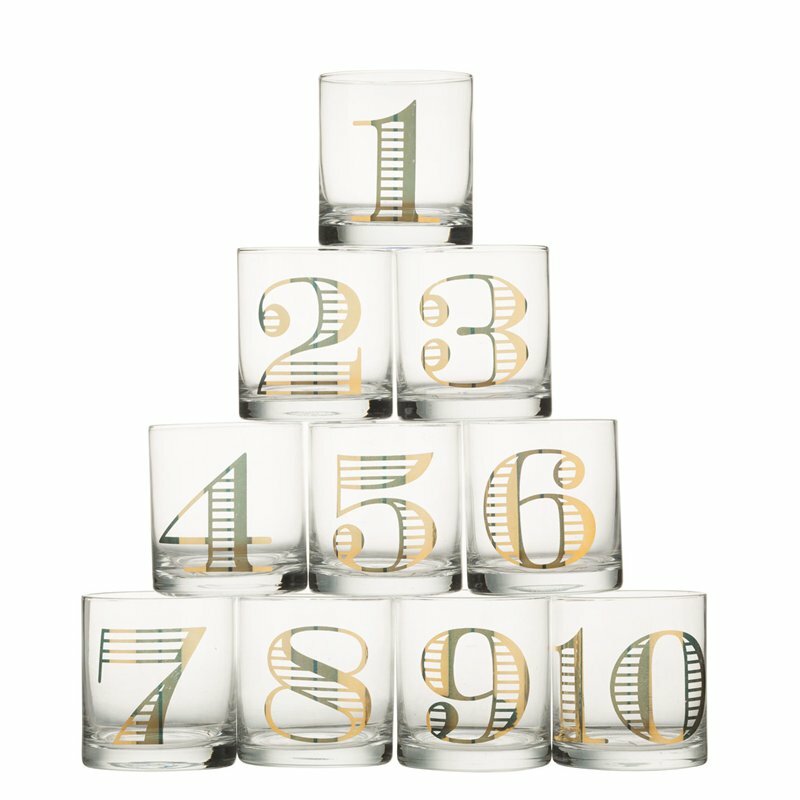 Countdown Glasses – just fun & cute & oh-so-holiday! Chapters/Indigo have some wonderful gift ideas and these would be fun to pull out year after year. 8. Anthropologie Tea Towels – I just love me some Anthropologie, and I could have filled my entire Christmas wishlist with items from here. Today, I only gave you two. The first of my picks are these beautiful tea towels. There are just too many to browse, including some glorious hand-embroidered ones, but these basics are my all time faves. 9. ‘Frames Wallpaper’ – I found this product earlier this year as I was re-doing my 9 year old daughter’s room. 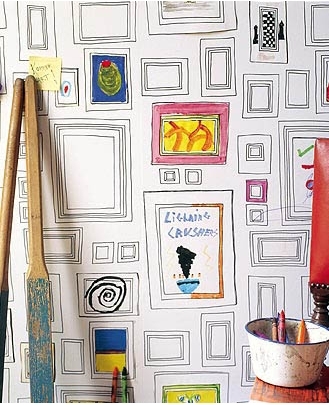 Fun, unique and inspiring uber-creativity, this wallpaper is a series of black and white frames. Everyone can join in the fun by drawing, painting or pasting school artwork within the frames for a true one-of-a-kind piece of art! Love this, and such an inexpensive way to bring some fun to your home. 10. Bookends – …and here is my Anthropologie pick number 2. 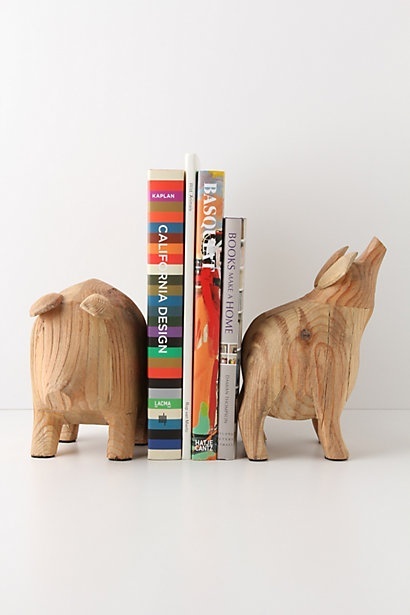 I can’t resist these sweet little potbelly pig bookends carved from wood. So fun and quirky. It’s all in the details, and little pieces of works like this create such interest! I’ll take one of each, please! Oh wait, I’ll need six of those bean bags though.